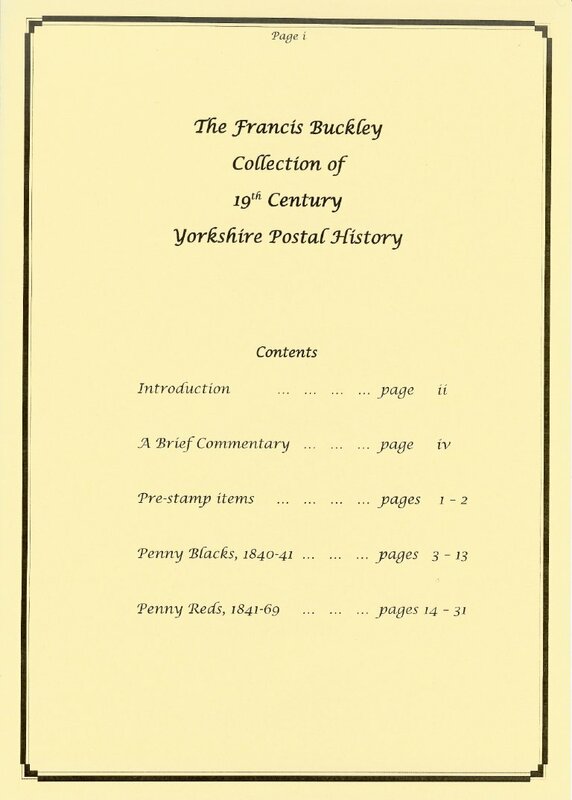 Over the years the Leeds Philatelic Society has acquired by gift or legacy a number of collections, mainly of Leeds and Yorkshire postal history. These are available for study by our members and also where mounted and written up for display to other societies. The following is a brief description of the collections. Societies wishing to arrange for any or all of these collections to be displayed at one of their meetings should contact the Honorary Secretary. 54 sheets as orginally mounted and written up. A conservation project is currently in progress. A collection from pre-stamp (1769) to mid-19th century with a variety of postal markings and 1d blacks and 1d reds on cover from various Yorkshire towns. The items were orginally glued into a book and have been carefully removed, researched, mounted and written up with the addition of some ephemeral items to give additional information about social aspects of the material. 42 sheets including introduction mounted and written up for display. A collection from 1782 to mid 19th century of mainly 19th century covers showing the postal markings and rates used in Leeds and the environs, including: Penny Posts, 'Paid at Leeds', Sub Offices, Charge Marks, etc. The items have been donated by two or more unidentified past members, possibly including D Boyes. 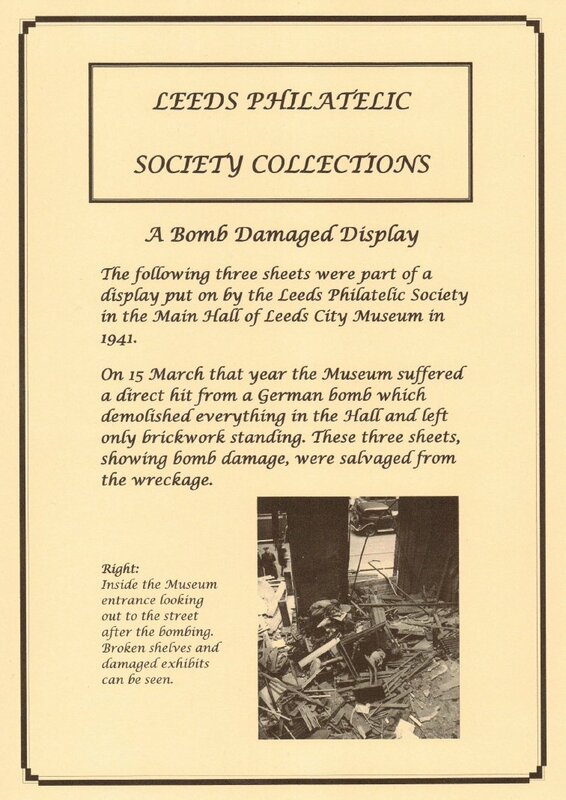 Also includes four sheets showing bomb damage from a display which was on show at the Leeds Museum during World War II when the Museum was hit by a bomb. The sheets were rescued from the building and provide a unique philatelic record of wartime Leeds. 41 sheets mounted and written up for display. A collection of the stamps designed by the artists working for the printing firm of John Waddington at Leeds. The collection is unique in giving details of the names of the artists who designed individual stamps; information which was never released by Waddington's during the time they were designing and printing stamps for many Commonwealth and foreign countries during the 1960's and 1970's. The collection is housed in 14 volumes. Twelve sheets are shown here to give an idea of the contents. An inventory is being compiled which will identify the missing information about artists who designed individual stamps.